" This mask is the safest and most comfortable I've found so far. It's all silicone construction is the way to go. Be careful to get one that's wide enough. " 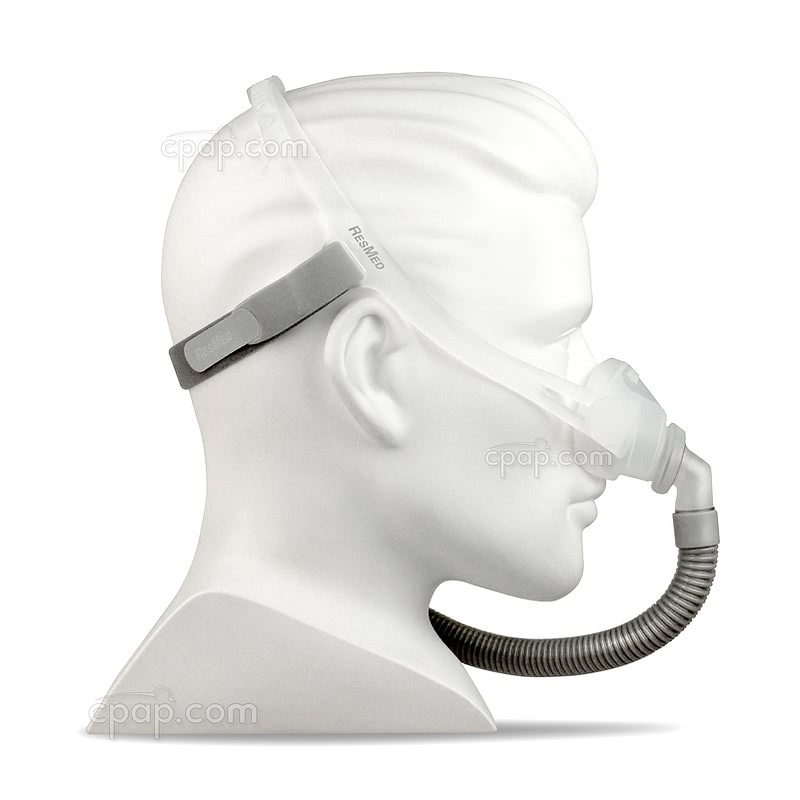 " The mask is very comfortable and I am able to sleep the whole night through "
The ResMed Swift™ FX Nano Nasal CPAP Mask with Headgear is the next step in the Swift FX line of mask products. 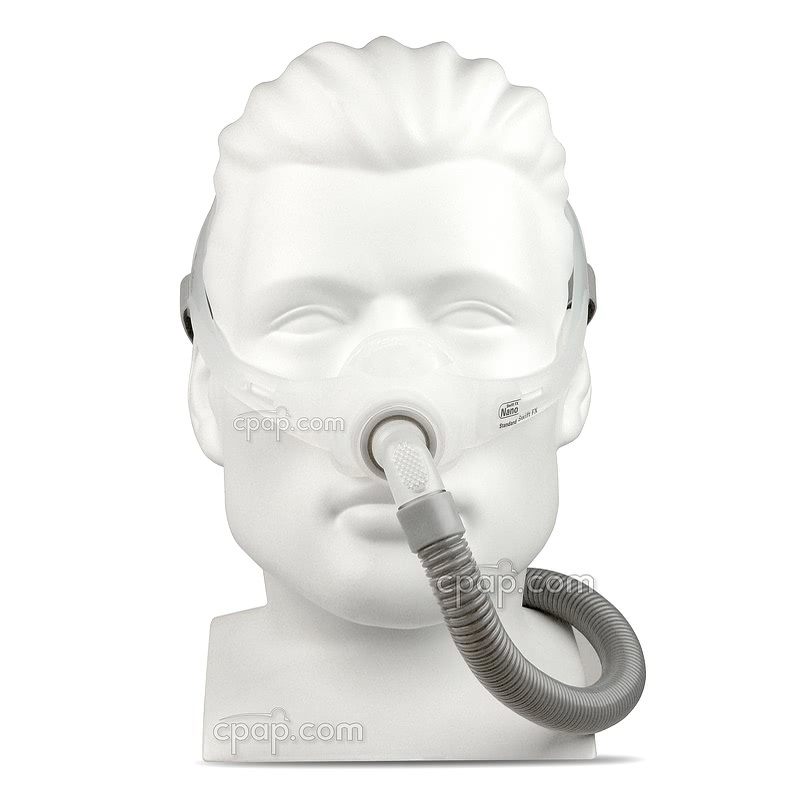 It features a nasal cushion providing a more natural breathing experience. The hallmarks of ResMed's Swift FX line are evident in the sleek simple design of the mask as well as the set-it-and-forget-it Swift FX headgear. The compact cushion of the Swift FX Nano has a low profile meaning less facial contact and reduced disturbances to seal and sleep. 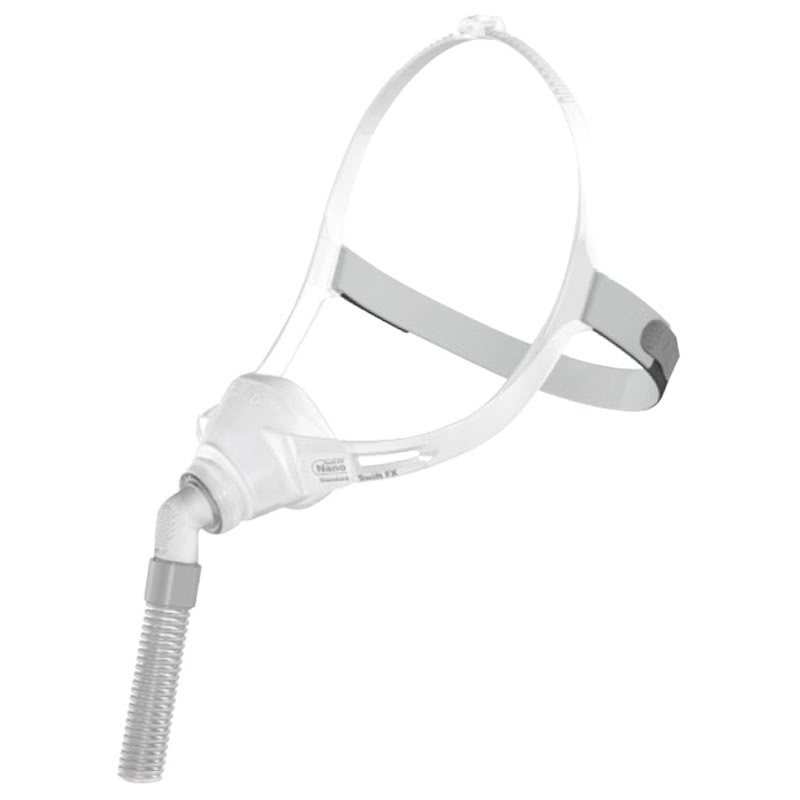 ResMed's Swift™ FX Nano Nasal CPAP Mask with Headgear is a unique blend of a compact nasal cushion and the proven features and technologies found in the ResMed line of Swift™ FX products. Designed with only 3 parts, care and assembly of the Swift FX Nano is easy. The soft materials of the Swift FX Nano make it a great travel option. The compact design of the ResMed Swift FX Nano features lightweight materials increasing therapy comfort and ease of fitting. The simple design has no need for a cumbersome forehead support or hard frame materials. 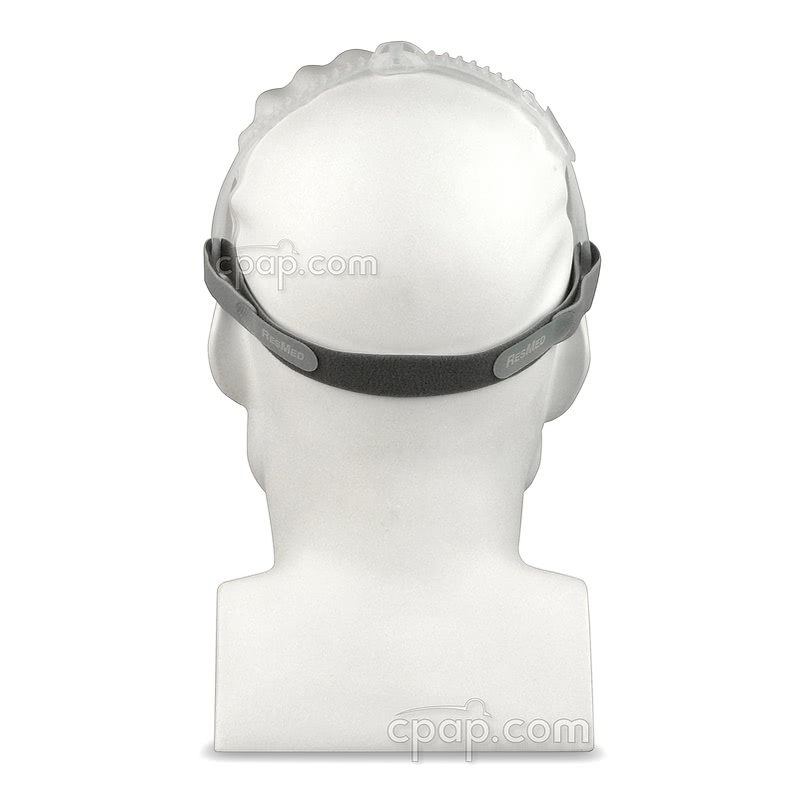 The support and seal of the nasal cushion is provided by the innovative silicone headgear. 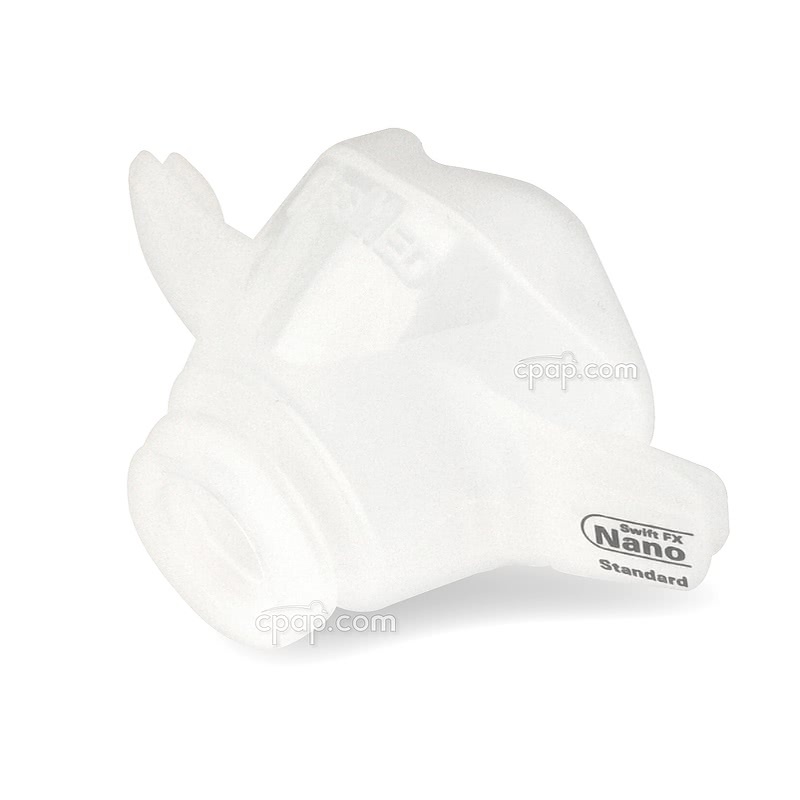 The Swift FX Nano uses a nasal cushion to offer a more natural breathing experience. The soft, low profile cushion has a dual wall design lending stability to the mask seal. Further, the cushion includes Spring-Air Technology which evenly distributes the cushion pressure to help avoid red marks. The size and name of the mask are clearly visible on the cushion for identification and orientation of the cushion. 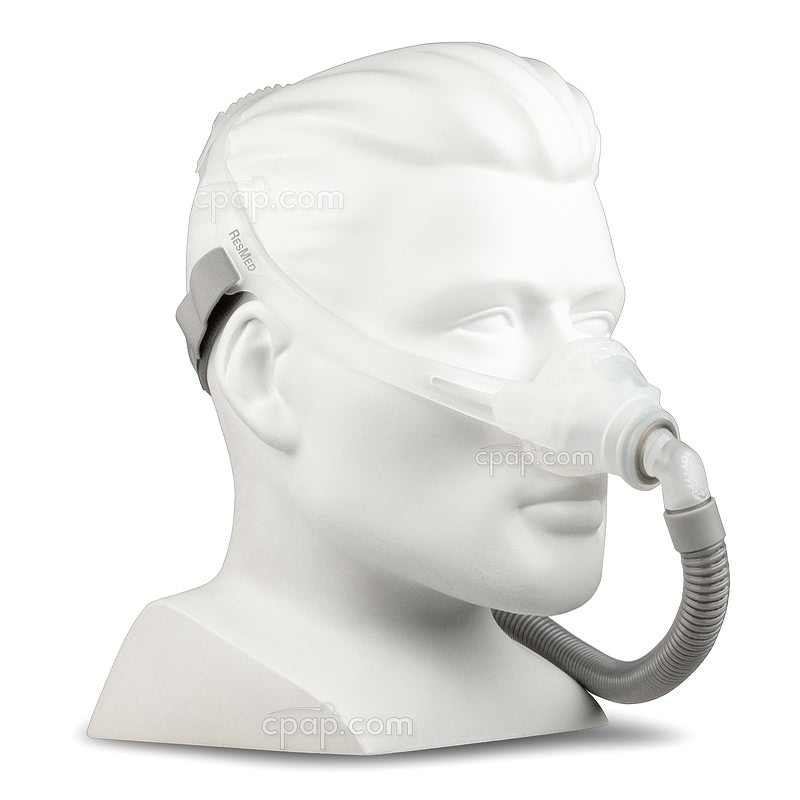 ResMed has rated this mask for use from 4 - 30 cmwp. The Swift FX Nano headgear is lightweight and supportive using a unique silicone and cloth design. It attaches to the cushion at only two points limiting contact with the face and fostering an open feeling and good range of vision. The headgear offers two points of adjustment, one at the silicone crown strap and the other at the connection between the SoftEdge straps and crown strap. The innovative tab hinge attachment means once the headgear is set it does not need adjusting. The Swift FX Nano uses the popular tab hinges of the Swift FX Nasal Pillow. The unique lock and key tabs make putting the Nano on and off easy with the quick-release tabs. Included with the Swift FX Nano is a pair of Soft Wraps which can be used to cover the silicone headgear. Use of the Soft Wraps is optional. The included Spring-flex tubing of the Swift FX Nano is designed to bend and stretch, reducing mask torque and the chance of seal disruption. The cuff connection between the mask elbow and short tubing allows the tube to freely turn 360° and is designed to minimize force to the mask. The short tube also has a swivel at the point where it connects with the long tube going to the machine. The entire length of the flex tubing, including cuffs, is 15 inches. The ResMed Swift FX Nano uses micro exhalation ports positioned on the elbow. The tiny ports diffuse the exhaled air away from the user and bed partner and also help to make the mask quieter during use. ResMed also offers the Swift FX Nano for Her which is available in a size small, with the headgear and soft wraps in the color pink. 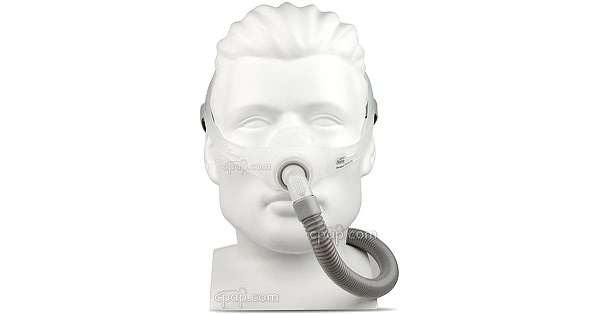 This mask can be viewed here: Swift FX Nano For Her Nasal CPAP Mask with Headgear. ResMed S9 Device Setting: Select "Pillows"
Other ResMed Device Settings: Select "Swift" or "Mirage"
Mask Care: Hand wash daily in warm soapy water using mild soap. Air dry out of direct sunlight. Headgear Care: Hand wash weekly using warm water and a mild soap. Air dry out of direct sunlight. Air Dry Only: Do not wash or dry the Swift FX Nano in clothes or dishwasher machines. Cleaning Cautions: Do not use bleach or alcohol, or strong smelling products to the clean the mask. 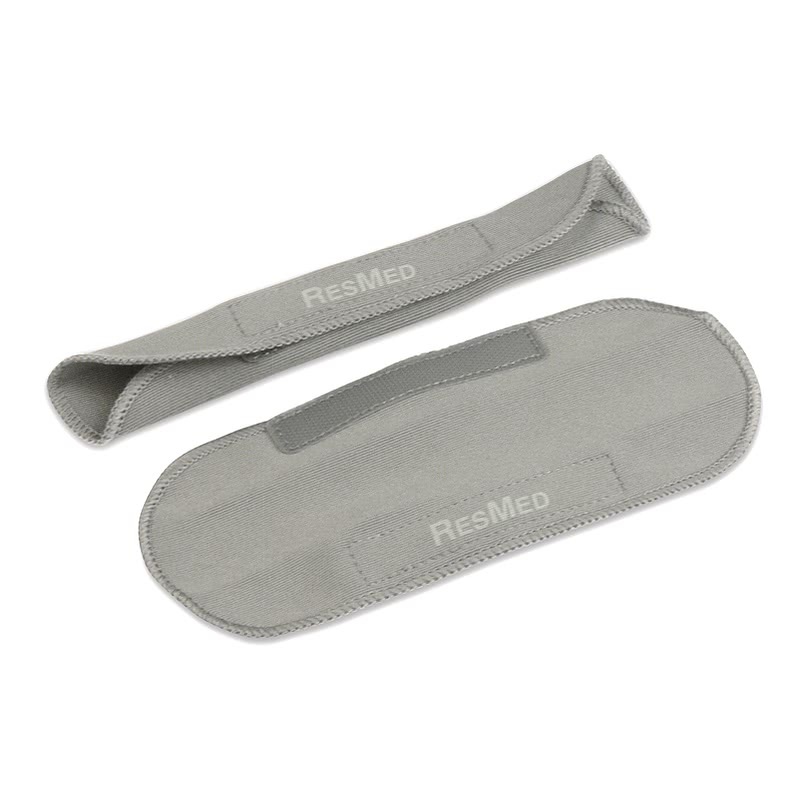 Product Cushion Note: The ResMed Swift FX Nano is a nasal CPAP mask. The cushion of the Nano circles the entire nose. Other products in ResMed's Swift line are nasal pillow delivery systems which deliver the therapy air stream directly into the nasal openings or nares. 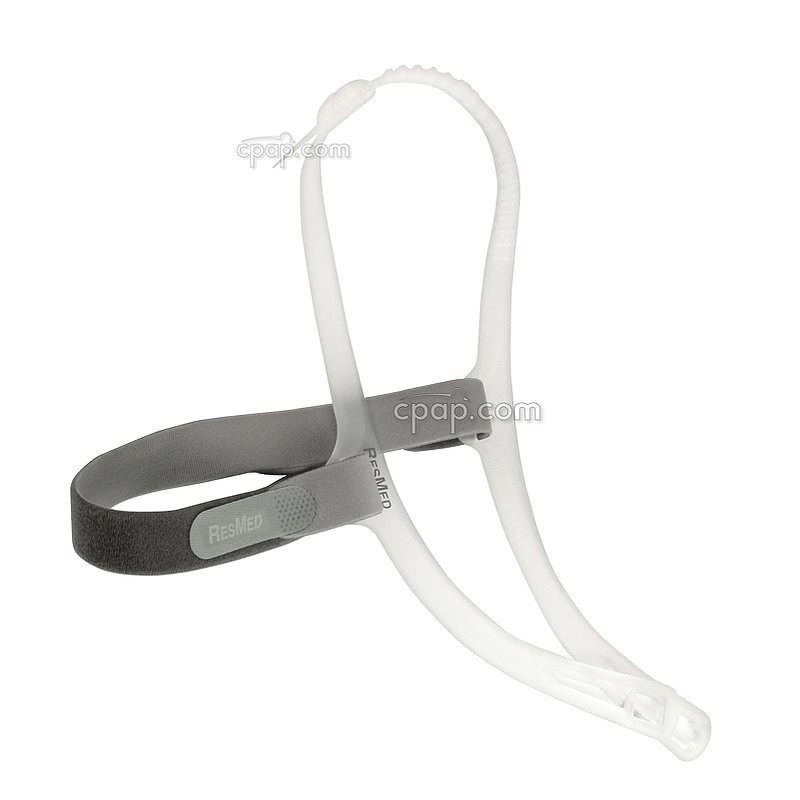 Flex Tube Note: The ResMed Swift FX Nano comes packaged with the flex tube. The length of the flex tube is 15 inches including the cuffs on each end. The flex tube is a part of the Swift FX Nano elbow assembly. Important Compatibility Note: Per the manufacturer of the Swift FX Nano, the short tube assembly of the Swift FX Nano is NOT interchangeable with the Short Tube Assembly for Swift™ FX Nasal Pillow (elbow, short tube, and swivel). Although the two products appear similar there are differences between the two products. The size of the nasal pillow is written in black letters on the front of the nasal pillow. The word is found on the right hand silicone flap of the nasal pillow, designed to connect to the headgear. 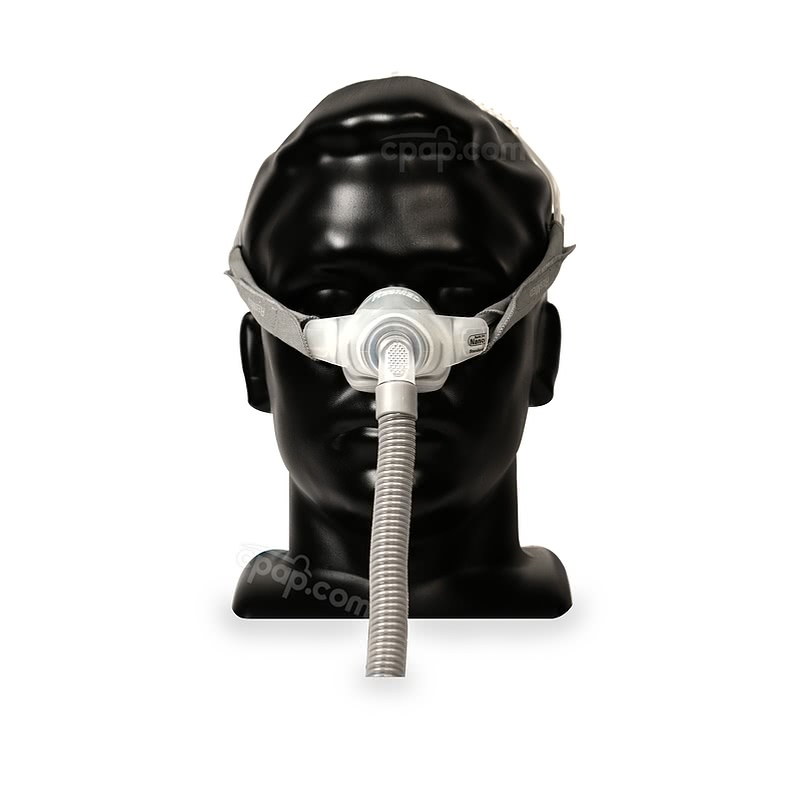 Oxygen Use and the Swift FX Nano: If oxygen use is needed with CPAP therapy, consider the Oxygen Enrichment Adapter. The ResMed Swift FX Nano does not have a built in oxygen port.